Featuring: The Monkees, Shoe Suede Blues, The Boston Tea Party, Chubby Checker, The Romeos, Bo Diddley, The Mustard Family, and more! 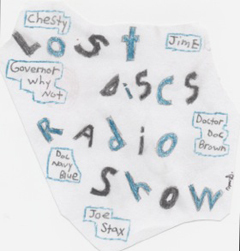 As broadcast live via 5130kc sw 3-16-2019 *special thanx to Cosmik Debris of the Lumpy Gravy Radio Show for this aircheck audio! LDRS 336 – You Don’t Have To Buy Everything They Make!